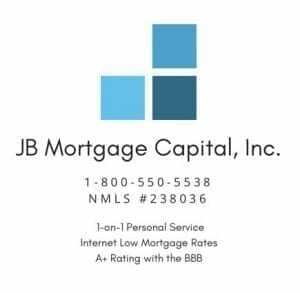 Mortgage Rates November 26, 2018 | JB Mortgage Capital, Inc.
Thursday we have Core PCE and weekly Jobless Claims and to finish the week on Friday we have the Chicago PMI report for November. Later in December we have the next FOMC meeting (the Fed) and most analyst and investors anticipate the Fed raising rates again. However some are starting to wonder if the FOMC will pause due to a slowing economy as seen by the lowering of Q3 GDP estimates and weaker corporate earnings. If the FOMC decides to pause that could have interesting implications for both the economy and the markets. The economy is clearly slowing compared to Q2 but are they slowing enough to force the FOMC to put the breaks on raising rates? If they do pause that might send shockwaves through the markets as investors come to grips with the idea that the economy has peaked and a further slowdown is on the horizon. 30 year fixed mortgage rates below 5.00%, 20 year fixed mortgage rates below 4.875% and 15 year fixed rates below 4.00%. Mortgage rates adjust daily; sometimes they adjust multiple times in a day when the bond market is volatile. At JB Mortgage Capital, Inc. we offer residential mortgage loans on 1-4 unit properties for both purchase and the refinance of a current mortgage. We have loan programs for both fixed rate mortgages and adjustable rate mortgages.